Gah! 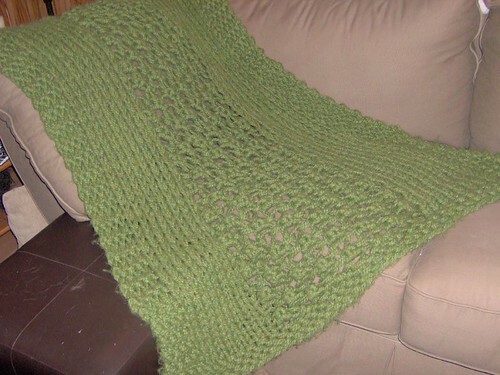 Afghan be done already, please?! It was a good run! LOL The coffee kicked in before I left, so no speed records today. I watched the sunrise, the sky filled with red. Other than the bugs, it’s a terrific start to the day. Now, off to get ready for work! So exciting events coming up in the H3Dakota household, w00t! The new Green Day CD drops tomorrow. The youngest manlet is a HUGE fan – has been for 5 years now. He owns every single one of their CDs. He has been waiting, waiting, WAITING for their new CD. LOL You all know what I’m doing tomorrow at lunch time. We’re also going to Star Trek. They haven’t seen it yet, but I am dying to see it again. LOL Oh yeah, and I’m going to see Angels & Demons with the IRL BFF, too. Busy weekend ahead!! * I like the center panel with the side bits. * Oooh, this is nice! 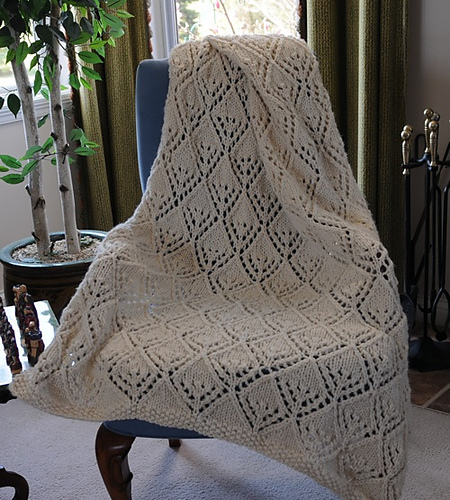 * ROFL - I just LOVE the name of this afghan! 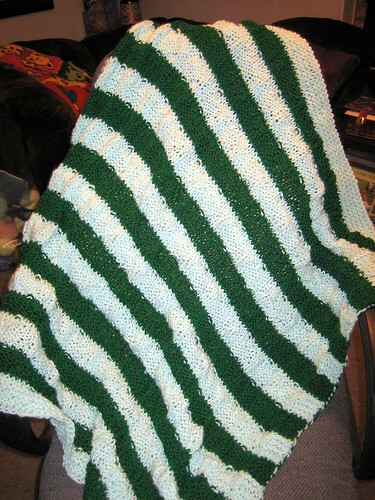 "Brain Dead Afghan"
* The Mile-a-Minute afghans are really pretty cool, though I wanted to avoid all seaming this go round. 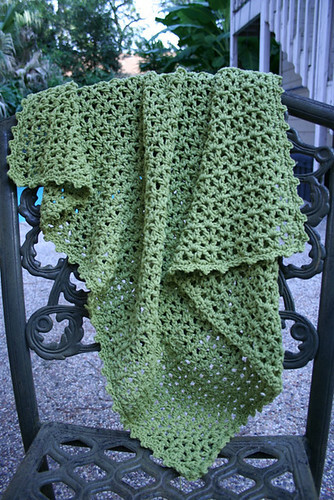 * I'm not usually a big fan of ripple or feather & fan afghans, but this one could change my mind! 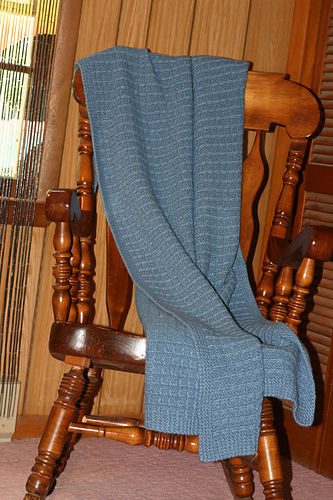 This entry was posted in Running and tagged Charity, Green Day, Knitting, Locks of Love, Running, Today's Ravelry Search. Bookmark the permalink. 3 Responses to Gah! 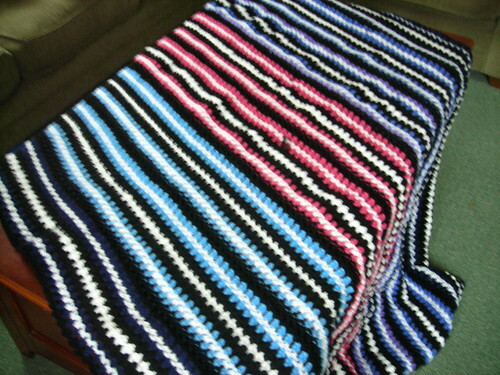 Afghan be done already, please?! Pretty pretty afghans! Good luck with the haircut! Hey you! I love the Brain Dead Afghan!! I may have to make it! Good luck with the manlet on his haircut!! Talk to you soon! !